CEO of TELAM Global Partners (TGP), a cross-border financial advisory firm in infrastructure, energy and telecom (www.telampartners.com). Chairman of the AMERICAN CHAMBER OF COMMERCE IN SPAIN (AmChamSpain – www.amchamspain.com) since 2002, consistently re-elected once every three years by the members (last May 2017). Founded 100 years ago, in 1917, and member of Amchams’ worldwide network, AmChamSpain has around 300 member companies – large US multinationals, most of the largest Spanish corporations and SMEs from both countries – which have a combined turnover just in Spain equal to 24% of the Spanish GDP. Throughout his long term in office, Mr. Malet has re-built entirely the entity. Today AmchamSpain is not only a key actor in the US-Spain business and political relations, but also one of the leading business advocacy groups with more than 350 high level executives of member companies working pro bono in 12 different committees. AmchamSpain is a strong voice towards a more competitive, productive and international model for the Spanish economy. Chairman of the Board of Advisors of Zurich Insurance Group for Spain; Senior Advisor of CISCO Systems for Latam; Senior Advisor of Indra Systems; member BoA ISS Facility Services Spain. Mr. Malet is Member of the World Economic Forum experts network since 2012 (www.weforum.org); Senior advisor of Concordia (www.concordia.net); Member of the Board of Advisors – Consejo de Acción Empresarial – of CEOE (Spanish Employers Association); Member of the International Advisory Council of APCO Worldwide from 2009 (www.apcoworldwide.com). 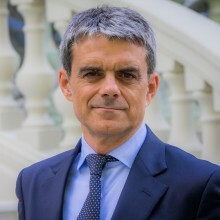 Member of the Board of Trustees of the Spanish-US Councilfrom 2002 (www.spainusa.org); Member of the Board of Advisors of Fomento del Trabajofrom 2005; Member of the at large BoD of IESE Alumni (business school) from 2001. Formerly with NextEra Energy / Florida Power(2009-2017), Alvarez & Marsal (Spain 2010-2014), 32 Advisors (Strategic Partner 2013-2017); Tyco Electronics (Spain 2011-2014), Betfair (Spain 2007-2014), Beckton Dickinson (Spain 2008-2011), Air Products (Spain 2012-2014), Sacyr Vallehermoso (USA and Panama from 2006 to 2009); T-Systems (Spain 2002-2008), etc. Mr. Malet holds a Law Degree (JD) at the University of Barcelona Law School (1982-1987); a Master’s Degree (LL.M.) in International Law and Economics at the University of Houston Law School (1987-1989); a Master’s Degree (AGT) in Tax at ESADE business School; and a Senior Advanced Business Program (PADE) at IESE Business School(2001-2002). He started his career in Arthur Andersen. He is happily married since 1997 and proud father of two children.